Booked your tickets? As you move through the airport line on your next big trip, look around and you are sure to observe first-hand the way travel has changed in 2019. From updated luggage to speedy e-tickets, this year promises more than new adventures in the world of modern air travel. Our most up-to-date list of flight essentials is suited to the latest trends in travel this year; think shorter weekend jaunts, wellness holidays, and Instagram-worthy vacation spots. With more choice in accommodation and transportation than ever before, travelers have more flexibility to pick up and go, and having the right gear can make or break your flight. 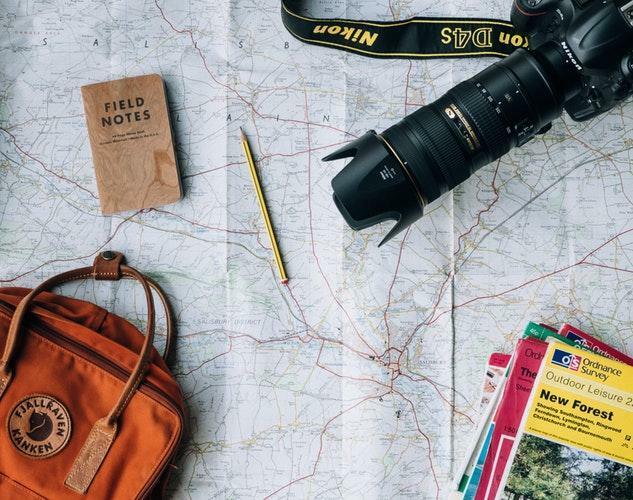 The five top travel items on our list have been hand-picked just for travelers like you. Don’t be surprised if you use them onboard and off -- seamless travel is our game and these essentials will help you make it look easy. First on the list? It measures approximately 20 x 14 x 9, is sometimes expandable, and always durable. It’s the all-purpose carry-on! With many travelers opting for more frequent, shorter holidays in the coming year, the days of checked-luggage are essentially over. The perfect carry-on offers all the space you need, along with the added benefit of no extra fees and hours of saved travel time waiting at the luggage carousel. Take it from us, 360-degree spinner wheels travel much more smoothly for a quick getaway. The very best carry-on contains a laptop compartment and two zipped sections so that you and a travel partner can even split your bag for added freedom. Perfect for the weekend trip, but even ideal for a longer stay, once you convert to traveling this way you may choose to never check your luggage again. The uncertainty of a power-surge in unfamiliar territory can fry your travel gadgets and leave you literally disconnected for the duration of your trip. A solid travel adapter really is a life-saver, but many come with an array of plugs and pieces that leave you guessing which one to choose. Even worse, you may only use one plug while the others take up valuable space in your perfectly downsized carry-on. Getting yourself a trusty world power adapter will offer you peace of mind and this little all-in-one should be compatible with countries and power voltage in Africa, Asia, the Caribbean, Central America, Europe, the Middle East, and North America. No matter where your travels take you, you’ll never need to buy another converter. Beyond helping you sleep and preventing aches and pains in your neck during a long-haul flight, travel pillows are right on trend this year for the set of adventurous travelers hoping to sample accommodation beyond the basic hotel suite, cruise or all-inclusive. Airbnb, HomeAway, yurts, Couchsurfing or wellness retreats offer a range of sleep experiences for every type of traveler. With growing choices comes a bit of unpredictability - you never know when you will need a bit of extra support when you hit the sack. While the standard foam “U” pillows do the job in a pinch, we recommend trying a travel pillow that you can strap to any seat to keep your neck in place and can attach to the outside of your carry-on to use while you fly and keep on hand upon arrival. Not to mention, a travel pillow is always handy to have to crunch it up on an unfamiliar bed for a bit more padding when needed. In-flight entertainment services are unreliable at best. Many flights offer a personal television screen for each passenger but others are more bare-bones -- offering nothing more than a blank screen or none at all. If you opt for the budget flight on your next micro-adventure, this is even more likely. That’s why we suggest never boarding a flight without a tablet or other form of onboard entertainment. Load up your device of choice with a few movies, games or books before departure and you’ll be all set to sit back and relax. Want to cancel out the noise of crying babies and passengers around you? Then, don’t forget your headphones! 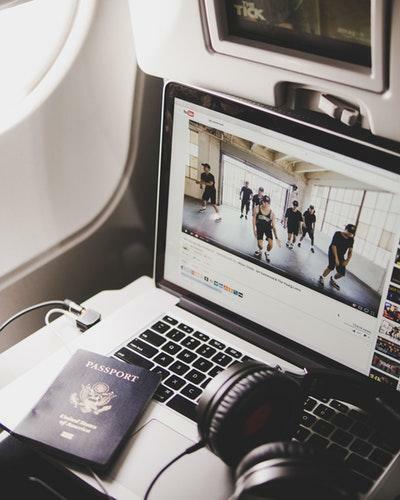 Many a passenger has been tempted to save packing space and opt for the onboard earbuds as a cheap and convenient choice when flying, but they don’t cancel out surrounding noise. With many models having over a 20-hour battery life, choosing to buy noise-canceling headphones will guarantee that you’ll never need to worry about cords on board next time you fly across the world. When you’re flying, cramming into small seats with minimal legroom is an unfortunate part of the experience. Why not help keep the blood flowing with some durable and ultra-breathable bamboo compression socks. These lightweight socks have the added bonus of keeping your feet feeling fresh for fellow passengers. Beyond the flight, they are worth their travel weight in gold. Once you reach your destination, don’t be surprised if you begin to use them daily on a morning run or for a long day of touring. Perfect in any climate, they are especially suited to warmer locales where walking in humid conditions warrants their breathable fabric. Pair them with some cozy slippers tucked into your luggage and you’ll be ready to put your feet up on board or after a long day of touring the city. Now that you’ve booked your tickets make sure you pack your carry-on full of our best travel essentials. Each one has been hand-picked to serve you well beyond the flight, and their ultra-flexible use means you can carry them with you on trains, planes, and automobiles to get more bang for your buck. 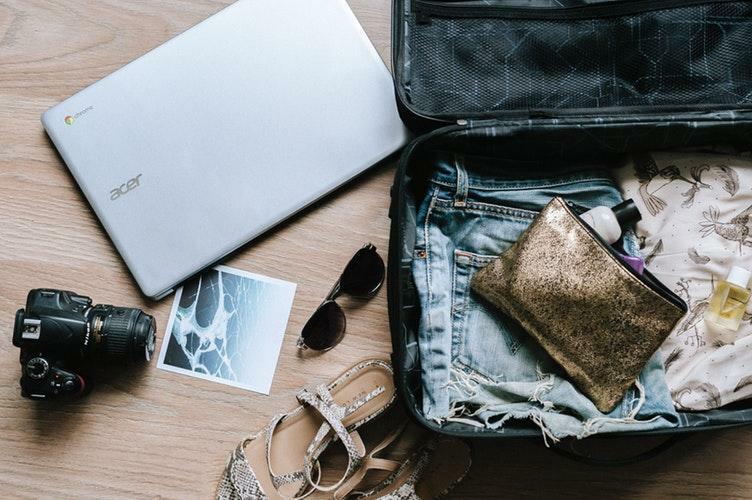 If you still have room in your carry-on, check out these other must-haves for the jet-setter to stay on-trend this year. Happy travels!